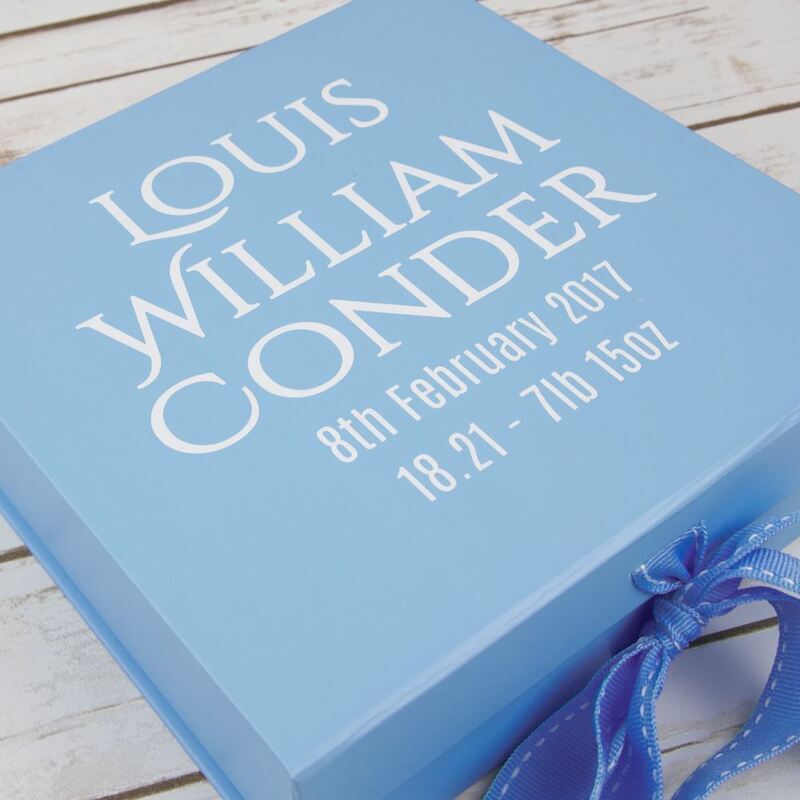 Our lovely new baby keepsake box is the perfect gift for a new arrival or for a baby shower gift. The box comes with the childs full name, date of birth, time of birth and weight. 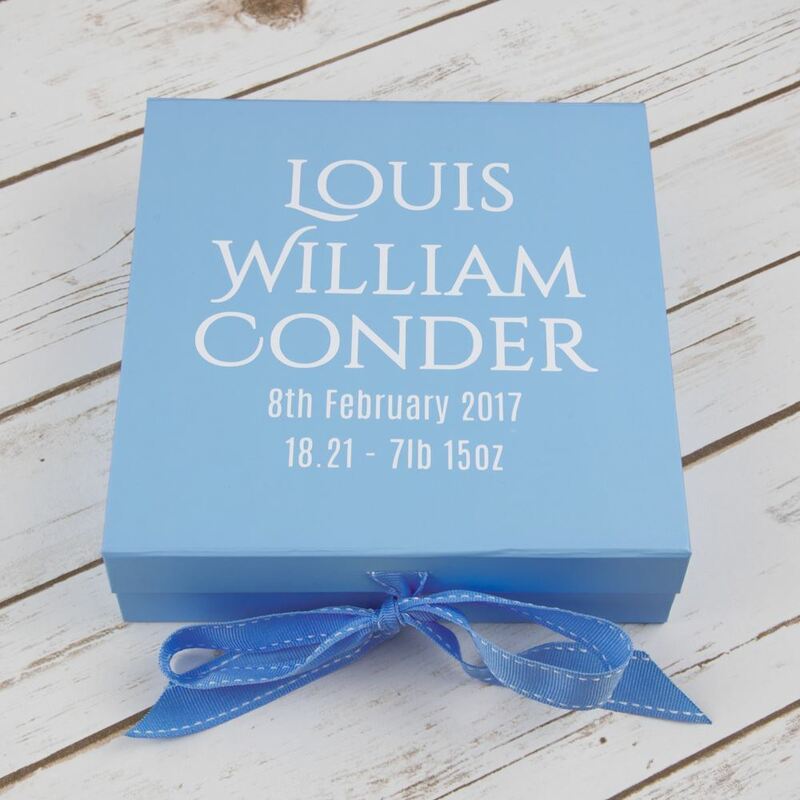 If you would prefer not to have the time and weight the box can be made with just the name and date. 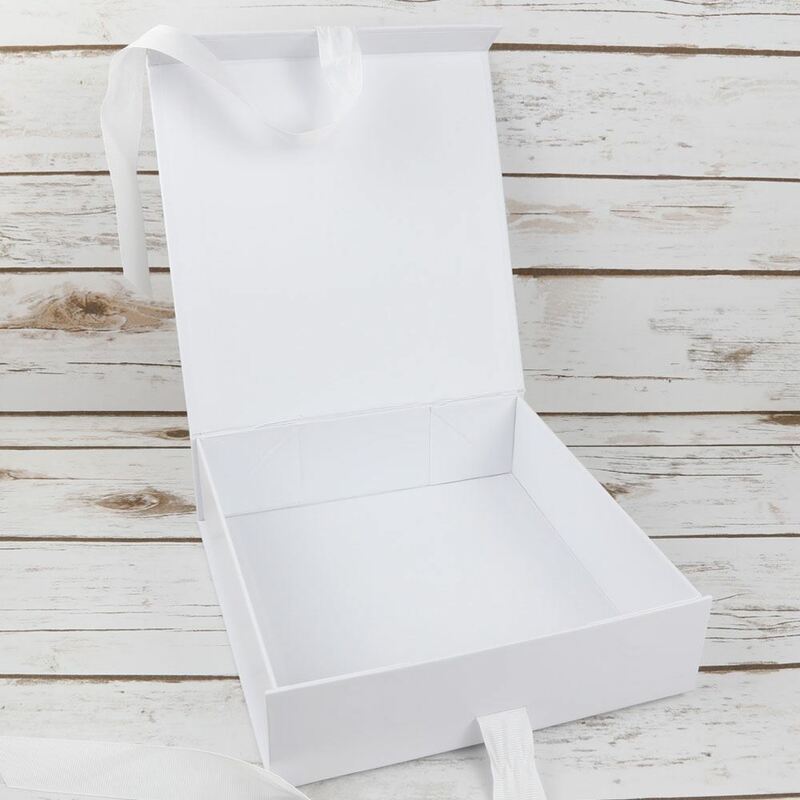 These are high quality board boxes and this one is available in white, baby blue or baby pink. 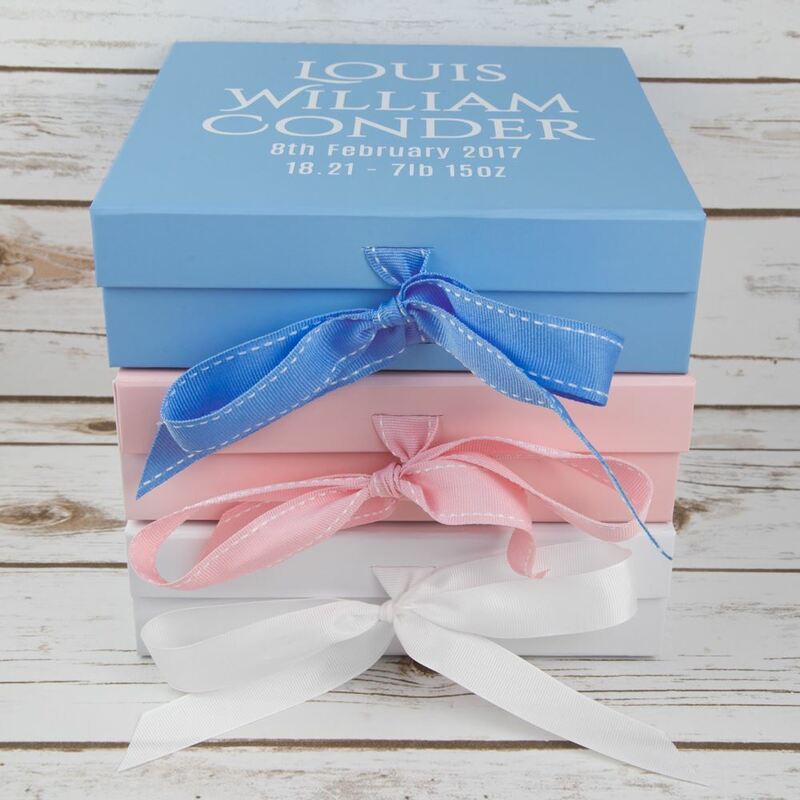 The baby pink and baby blue boxes will come with white wording and the white can be made with blue or pink. Please enter the baby name, date of birth, weight and time of birth in the comment box when you order.